This program suggests the attitude of an Indian chief who wrote in the 1850's: "How can you sell the sky, the warmth of the land? What is there to life if a man cannot hear the cry of the whippoorwill or the arguments of the from around the pond at night?" 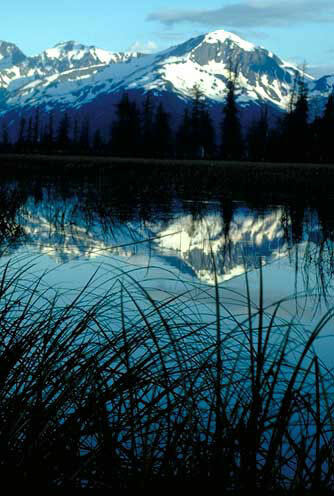 The slides represent a cross section of the finest natural areas in the USA as well as striking close ups of grizzlies, elk, eagles, frogs, chipmunks, and mountain goats. There is no narration, The music and sound effects complete the aesthetic experience. Cost $500 per day.